Dry River Chief Winemaker Wilco Lam will match stand out Dry River varietals and vintages to each course, ensuring a very special “best of New Zealand” dining experience. Other highlights of The Three Chefs weekend include a Saturday morning cooking demo presented by Barry, James and Jonathan with each showcasing a dish based around the best of their regions’ produce, and a tutored tasting of Dry River wines on Saturday afternoon. It’s a family affair at The Farm at Cape Kidnappers when the three Robertson Lodges Head Chefs - Barry Frith (The Lodge at Kauri Cliffs), James Honore (The Farm at Cape Kidnappers) and Jonathan Rogers (Matakauri Lodge) unite to create a six-course tasting menu matched to Dry River Wines. The trio bring together over 30 years of combined experience with Robertson Lodges and their dishes for this inaugural event will showcase specialities from their region and firm guest favourites from their respective lodges. All three chefs will speak to their dishes and share their passion for the unique New Zealand produce from Northland, Hawke’s Bay and Central Otago. 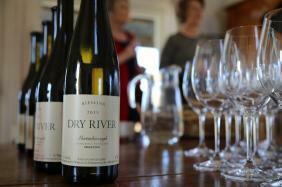 Also from the Robertson Lodges family is New Zealand’s Dry River wines. Recognising Dry River as among the best wines in the country, the Robertson family bought the wine business in 2003, with lodge guests enjoying the incredible library of back vintages of these iconic wines over the ensuing years.